I have never been a wipe off with tissue or cotton wool girl. All the skin care specialists I really admire – Erno Laszlo, Liz Earle, Jo Malone (the person rather then the company which is now owned by Estee Lauder) and Eve Lom – advocate the use of water to remove cleanser. I agree. Add hand hot water and a flannel and you have all the exfoliation you need. A few weeks ago I got sent this from Beauty Naturals. Although I test products blind (as in, in plain containers, not blindfold..) like the next person, I’m seduced by fancy packaging. Which this ain’t got. I was in the middle of testing a heap of other products so I just stuck it in my cupboard and thought that I’d use it when I got desperate, which I did, pretty soon after. So I started using it. It’s fab. 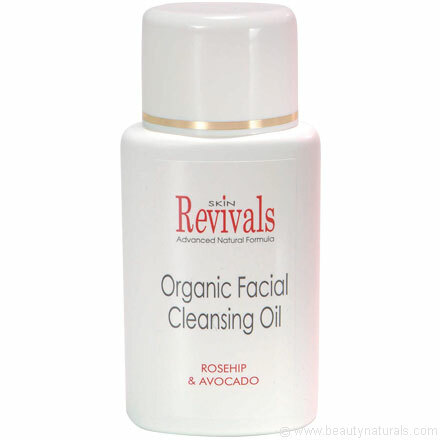 I honestly think it may be the best cleanser ever, all things considered. I adore Eve Lom’s grainy (it just looks it, but the ‘grains’ melt on touch), oily cleanser in a pot that you dip your hands into. That smells expensive – incomparably – because it is expensive. I love Neal’s Yard’s Wild Rose Beauty Balm. But that’s also expensive. This is just £12 for 100ml (yes you can buy cheaper but it won’t be as good and look it’s organic!). Don’t be afraid cos it’s an oil. Try it. This entry was posted in Consumer on December 14, 2009 by Annalisa Barbieri. If you’ve got some little people to buy for, this book came out two months ago. The pop-ups are laser-cut and absolutely beautiful. Although it’s a pop up book, there are enough words in it to easily challenge and entertain a child who is just starting to read. I have bought it for my six year old monkey. Unfortunately no pictures seem to be available. I’ll try to take some pics of mine and post them. Another thing children seem to love are torches. I don’t really blame them. I have a thing about torches too (my Maglite 3-cell is much loved and was a Christmas present). Millets currently has an offer on Eurohike head torches for children, £5.99. They come in pink or green camo. The best present we ever bought our then one year old was this little horsey from Holz Toys. Holz does some great wooden toys, but most are expensive. When I first became a parent I was obsessed with my child having ‘tasteful’ wooden toys but I soon learned that children haven’t always got the same idea. The walker horse is £49 and our big little girl still rides it every day, these days with her sister stuck on the front. I can’t recommend it highly enough. Bath stuff is always a great fall-back present for grown ups and to be frank, I’d prefer to be given a nice bubble bath over some of the things I get given that just go into the cupboard (that sounds ungrateful but I hate waste). Although expensive, Aromatherapy Associates produces the best bath oils. Jo Malone and This Works’ is a good second but AA stuff has a very high percentage of essential oils in it. The Relax bath oil (it used to be called Deep Relax and I don’t know why they had to muck about with the name) knocks you out, be warned! I fall asleep in the bath when I used it. The next suggestion may seem odd, but roll with me. It’s a series of British Film Institute DVDs called British Transport Films. I first discovered them a few years ago and have every single one ever issued. They are fantastic. I mean properly wonderful. Yes they’re largely train based, and yes some of the films (there are several on each DVD) are a bit anoraky. But they’re wonderfully nostalgic (and for me, nostalgia isn’t a dirty word), evocative, informative and the narration! Why don’t people speak like that anymore? 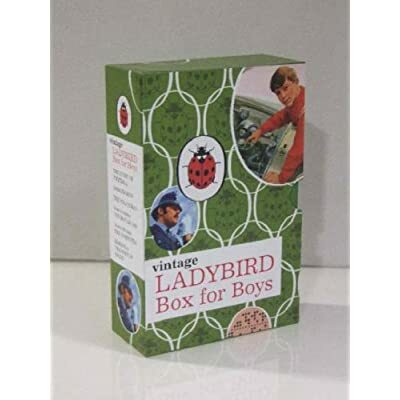 Here they all are in a boxed set, but you can buy them individually. There’s one story that follows the journey of a suitcase which is just spectacular. And another where they prop a camera on top of a building in – I think – Marylebone and follow a day in the life. If you’ve ever lived in London you’ll particularly love this. One of the most useful presents I was ever given was the Muji screwdriver set. It has one master ‘head’ into which you put the ends of various crosshead and slot head (plus a bradadl what ever that is) screw driver heads. The great thing about it is that they’re always there together and you will use them hundreds of times, to take the backs of toys, clocks, tighten up your specs (the littlest one is really teeny). Buy it, buy several to give to people. It doesn’t matter if they already have tool boxes they’ll still use this set. Once you’re in Muji, or on the page of the on-line store, it’s a great place to buy little presents. The PP porfolios are wonderful to put torn out pages of magazines – so you can collect your recipes or whatever all in one place. I also use one to put together the 101 notices that come home from school and then chuck them out at the end of the term. More later. This entry was posted in Consumer on December 12, 2009 by Annalisa Barbieri. Well. The phone came. It’s very cheap and plastic looking but fine. But. Something I forgot about, something that was a problem with the original Trim Phone (and I know this in particular because my non-husband used to work at BT)…it’s so light that you pick up the receiver and the entire body of the phone flies up too. Very disappointing. I am very disappointed. I’ve asked to return it. 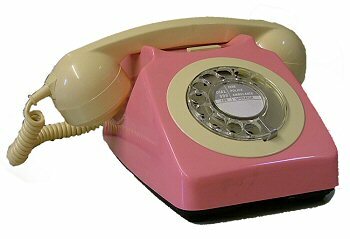 In the meantime however I’ve realised that my lovely old cream rotary dial phone isn’t broken, the bloody entire line is. I also realised, picking up the lovely old Grace Kelly calls her beautician style phone that it’s a 1963 German model with some decidedly, how can I put this…Germanic insignia on the bottom. That’s by the by. 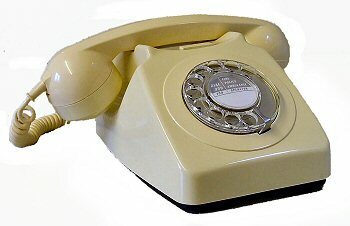 I have renewed my search for a wall mounted push button phone that isn’t some horrible modern crap and it’s IMPOSSIBLE. No-one does them. Why does someone not reintroduce them? This entry was posted in Consumer on December 9, 2009 by Annalisa Barbieri. We built our last flat. Well, when I say ‘built’, it was a space with four walls a floor and a ceiling, and it was already there in a Victorian warehouse. But we bought it as a ‘shell’ with no services ‘n’ stuff. At the time – over ten years ago – this was still pretty rare in London. So rare that only two mortgage companies would lend us the money without a retention (keeping a large portion of the loan until the flat was done, which rather negates the need for a mortgage). They were the Halifax or the Woolwich. The former wouldn’t lend us as much as we wanted though, and the Woolwich would only lend if we hired an architect. At the time – I remember the conversation clearly, I was sat at my desk on the 18th floor of Canary Wharf tower – I cried. Every penny had been accounted for, there was no way we could afford an architect. But in the end, in the way these things work, it was a huge blessing in disguise as we appointed the brilliantly gifted Simon Conder. He saved us money, he designed us a fantastic flat and he over saw the entire project. Anyway. He designed the whole kitchen around the fridge we wanted which was an Amana stainless steel side by side monster. It had an ice maker. It was bigger than any fridge I’d ever, at the time, seen. It cost lots. We didn’t have the money when we moved in, but it was winter so we used the window sills to keep our food cool. Very eco and probably trend-setting. In between this I won an award (for Beauty Journalist of the Year) and I got a cheque for £1,000. As I went to collect the cheque from Katy Puckrik I remember saying “I can buy my fridge now,” which was really my focus. The fridge was great, but not so great I’d buy one again. The problems are that you have two side by side vessels which means neither side is very wide. I like fat fridges, I discovered, some years into owning the Amana. Fridges I can put entire turkeys into, even though I’ve never cooked an entire turkey. The ice maker however was fantastic and, pre-Wiis, a great way to keep teenagers entertained. It had loads of ‘zones’ that did different things and sent me running to the instruction manual each time to clarify what they were supposed to do. But it was a good, handsome, fridge. A birruva liar, because despite its promises it did need to be run down and defrosted every two years or so, otherwise it started to leak (it never frosted up though). And you’d think once every two years isn’t too much to ask, but it always seemed to spin round so fast. When we moved to our current house, with its tiny kitchen with hideously expensive but still hideous carved (dark) oak kitchen cupboards, we knew it was only a matter of time before we ripped everything out and started again. In the meantime we had to make do with a tiny, undercounter, totally ordinary fridge which also froze anything that went too far into the back. It wasn’t capable of storing anything like the number of pies and crumbles I intended to cook. When we started to look for a new fridge, I did of course start looking at the biggest fridges possible and worked my way down. What I knew was that I wasn’t interested in silly, pointless extra features. I didn’t care about ‘zones’ anymore because you just ended up putting stuff where it fitted/you could reach/looked nice. I wanted a fridge that just did what it was meant to: chill food. But, and this is important, I was completely not into a fridge that looked good but had a C energy rating, it had to be A or A +. I started off thinking in terms of two giant appliances. A big tall larder fridge and a big upright freezer. But when I thought about this, I realised that unless you grow your own (we don’t, yet) you end up just losing food in the freezer. Then I decided we really needed was not a double unit but a triple one. Fridge, freezer, wine storage. I mean, think how much space we’d save in the cupboards! I still think this is a beautiful thing. But in the end I decided to go to the Miele Experience Centre in Abingdon. Now, as I write this, I am pretty pissed off with Miele (viz coffee machine). Since I wrote that post, I’ve had to take two days off work, and twice the engineer has not come – ringing but at the last minute cancelling. The latest is that the spare parts have to come from Mars, or somewhere like that, and it will take til January. So yes Miele does spare parts and holds them for twenty years, but whether you can ever get them is another matter. But even being cross, I can tell you that the Miele Experience Centre is an experience. Every appliance is out there for you to look at. The staff were fantastic. I went there with zero intention of buying a coffee machine (“for goodness sake” I spat at my boyfriend, “you can just make perfectly good cappuccino with a Moka and a whizzer thing.”), but the woman (middle aged, softly spoken, kind, like something out a 1970’s sitcom) convinced me. I ended up with a big, fat, wide fridge and a smaller freezer underneath. There is no point me showing you a picture because it’s impossible to find one with the thing shut. It has no fancy pants zones, it’s A++++++ rated and it has LED lighting inside which is the only showy offy bit but actually I find it really useful and can’t now imagine a fridge without runway style lights inside. It has the temperature on the outside which is the only other bit of gizmo it has and again I find this really helpful now (4 degrees being optimum for fridge, -19 for freezer). But you know my favourite fridge of all is still our old Frigidaire that I grew up with. It was small, had a tiny ice box, lasted forever and of course was always full of good things. I miss that fridge. This entry was posted in Consumer, Equipment and tagged fridges, kitchens, miele on December 2, 2009 by Annalisa Barbieri. I’ve written about beauty products for fifteen years. I’ve always been fascinated by them; where this comes from, I don’t know since my mother (a Napolitan) has never used face cream, even when I’ve given her some. I once gave her something for tired legs which had something in it which was stimulating and reviving, when she still worked in my father’s cafe and after a while she said to me “Annalisa, thata creama you gavea mea, it stingsa my facea.” Then again, I’ve given her a pot of £180 cream for her face that she’s put on her knees. I kinda love that. Since I had children, and I’ve had two particularly buttery specimens, I’ve realised that although babies are like big balls of juicy fat, as they grow up into little children they get chapped cheeks and lips. The latter especially bad since they constantly lick and bite at their lips. As this is my first blog about skincare stuff, I need to put in a rider here. No-one is telling you to spend your week’s food shopping budget on a cream, unless YOU want to. Some creams out there are silly money. If you can’t afford them, if you’ve found something that works just as well for less: great. Buy it. But I think you get what you pay for, and this is more or less my whole ethos on spending (not just skincare). I believe in buying well and buying less. I’ve spent more money on various cheap alternatives only to be disappointed. I hate cheap crap. So. Yes I know. You can’t beat Vaseline, but whilst I find it protective on lips, it’s not particularly restorative. Jo Malone does one of the best lip balms. It’s not cheap, but I’ve had mine for years and as it costs you’re more likely to keep track of it and not lose it. If you think that’s expensive, I’d best not tell you about Sisley’s Nutritive Lip Balm. This is thick, and works better if you warm it in a pocket before application. Knowing what to put on a child’s face is a harder option. Weleda’s Dr Greenfingers used to do a fantastic product called Nose and Cheek Soother that came in a little tube which you could slip into your pocket and apply as you were walking out of the door. Perfect. Why don’t they make it anymore? Who knows. There is Mama Mio’s Wonder-Full Balm, now renamed with the prefix of OMega. Again it’s not cheap, but nothing I’ve ever found that is, works anywhere near as well and/or smells horrible. Talking of Vaseline, in a cupboard in northern Italy there is still a round glass jar from my childhood of the stuff. On it there are various glorious illustrations of what you can and can’t do with it, all shown to you by a 1950’s looking housewife. This entry was posted in Beauty, Children and tagged winter skin on December 2, 2009 by Annalisa Barbieri.